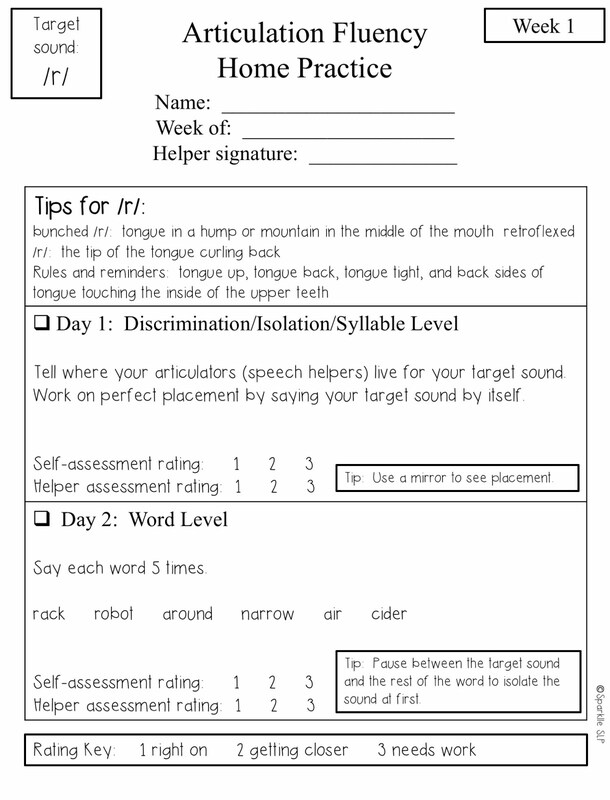 Home Practice for Articulation Intervention: A Product Review & Giveaway! 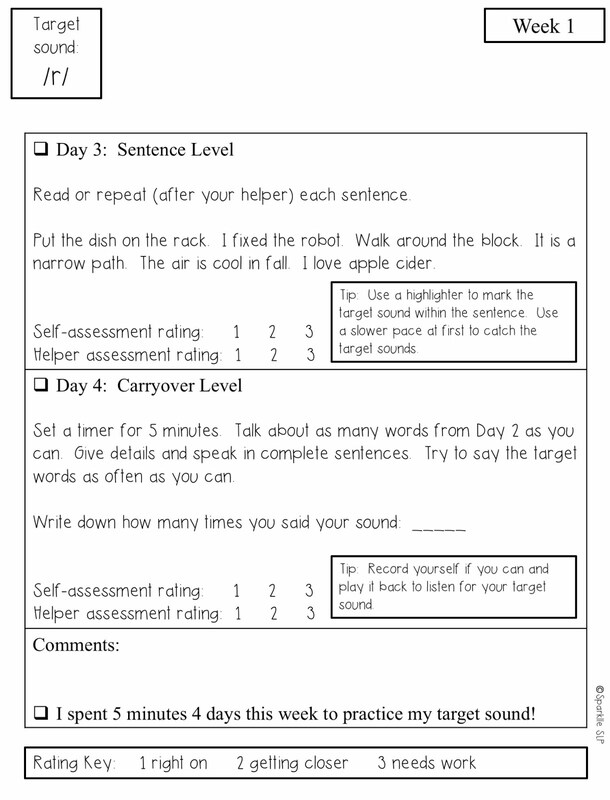 Are you in need of a home practice program for articulation intervention for later developing sounds? 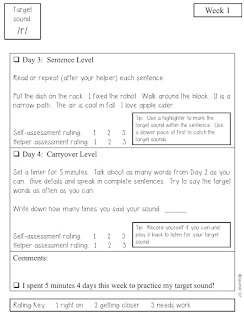 I created Articulation Fluency (automaticity) for Speech Sound Practice and while I do use it with students that receive speech therapy services as part of their IEP, I am also using this program for my speech club intervention students. Teachers and parents are very well aware of the role that we SLPs play in correcting speech sound errors and so the referrals come frequently. Not all speech sound errors provide adverse effect (controversial topic for another time). 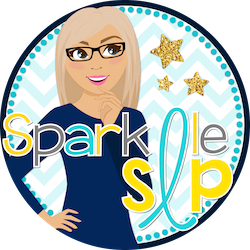 As an SLP in the schools, I must focus my efforts with students whose speech AND language deficits adversely affect their educational performance. In order to continue to be a team player and offer my expertise, I will be sending home my 12-week program for students that may exhibit articulation errors and whose parent and/or teacher requested help. I obtain parent buy-in, then review the program with the student and send it home. This program is not meant to replace services provided by a speech-language pathologist, rather offer parents a starting point with which to understand the presenting sound error and begin to help their child become aware. Children that are stimulable for correct production may find success using a home program. I also make parents aware of differences between school-based and private speech therapy services. Currently, I have created programs for /s, l, r, th/ as well as /sh, ch/. The first four targets are sold separately, as well as in a money saving bundle. The latter targets /sh, ch/ are sold together; however, not in the bundle currently. They have not received the aesthetic update. The content is still the same though! I'm deep into changing my mindset from an SLP that will "save every student from speech sound errors" to one that will work within my scope of practice within the schools to more effectively meet the needs of the students with significant speech AND language deficits. This small offering of a home articulation program for speech club intervention students will hope to continue to support without taking away from those that require intensive therapy. I'm so curious to know how you support articulation intervention students within your school district. Is it through direct service, consult with teachers or parents, home programs, or some other way? 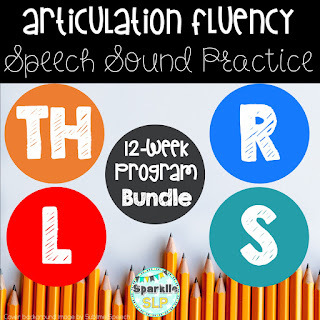 I would love to give away one copy of Articulation Fluency Speech Sound Practice Bundle for /s, l, r, th/. I will choose one winner from comments below. Please remember to include your email. This giveaway is over. Thanks for all your comments! When I do "Quick Speech", I write words that the student misses on a paper and put it in a folder. They take the folder home, work on those words, get the paper signed, & bring it back. Great and "quick" idea! Love the less is more! Thanks always for your comments and support! I often support students outside of actual IEP's. It is a time consuming process to put together resources for parents to conduct activities at home, so this would certainly be a time saver to have something all ready to use. I personally have tried to focus on the something that looks "fun" route with my hopes of getting parents/child buy-in. I usually provide parent instructions on elicitation techniques, articulation cards with 4-5 different game options/descriptions, a couple board games, bed-time drills, and then some specific carryover activities to complete. I usually include a personalized binder I decorate with the child's name and a sticker or two, and then I ask the child to finish decorating it with a variety of stickers the child can earn as they complete the different activities. If all the stickers are earned then the child is allowed to open a small prize with the program completed. In all honesty, it is very expensive to print and laminate everything not to mention time consuming. I really need to consider some other options. Wow Kristen! I agree with the time consuming nature...sometimes you can add another 20 kids to the load! Your "fun" resources sound absolutely amazing. You spend so much time on your students. You are my winner! Email me at 1sparklleslp@gmail.com and I will send you a copy of this bundle! Love the 5 minute speedy speech idea! Thanks for sharing! This looks like a great program for carryover, which is one of my biggest obstacles. My preschool kiddos especially will sound great in the speech room and then walk out the door and fall right back into those "mushy speech " patterns. I would love to have the time to do more in-class room therapy, but with 10-14 schools, it's hard enough to find a therapy time. This product would be a great way to address that issue :). Wow, 10-14 schools...I can't even imagine. Carryover is so incredibly hard, agreed! Great idea to offer interventions for the teachers to carry out! This is fantastic! I'm always looking for quick, easy to understand items to send home with my students. Carryover is always my biggest concern and hardest obstacle with my artic students - this is a great resource :) THANKS! We need a carryover cure! Thanks for your comment! Thanks for creating such a great resource! I am always looking for quick, easy to understand items for my students to take home. Carryover of skills is always my biggest concern and largest obstacle for my artic kids. I'm very excited about this product! This looks awesome! I just got elementary age kids back on my caseload this year and have been trying to decided what to do with my intervention kids! Intervention students can take over and we all have plenty of identified kids to service. I know you will refine your practice! Yes! Enticing would be nice! Thanks for your comment! This would be awesome to support generalization! Thank you for your specific feedback. It is very helpful! We all do so much to help even our intervention kiddos!